Not for the first time this season, Tottenham have shown they can produce brilliant performances without Harry Kane. 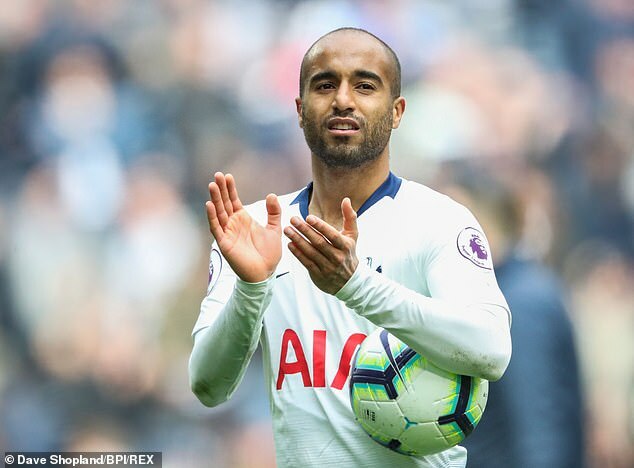 This time, though, it was Lucas Moura and not Son Heung-min who was the star of the show with an outstanding hat-trick against Huddersfield. 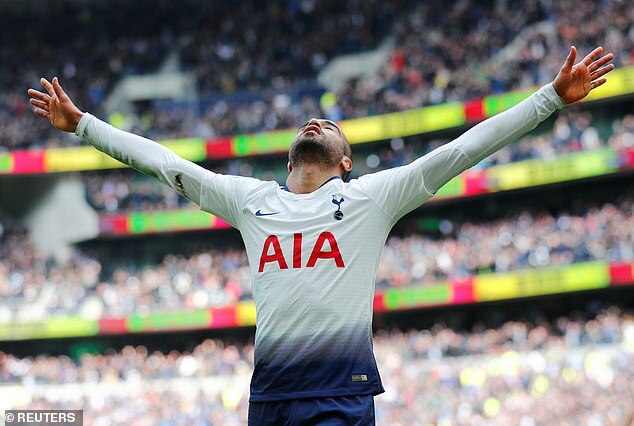 Moura did not look a player who had scored just once in 12 appearances in 2019. He showed outstanding technique with his second goal to control the ball with his left before volleying in with his right. His emphatic third was the sign of a player brimming with confidence. Moura must be allowed to take this momentum into Spurs’ Champions League quarter-final second leg against Manchester City at the Etihad on Wednesday. Pep Guardiola set City up to contain Tottenham in last week’s first leg. Playing with just one creative midfielder, he sent them out with one hand tied behind their back. On Sunday, he restored Kevin De Bruyne and Leroy Sane to the starting line-up at Crystal Palace with a clear instruction to attack. That will be the message against Spurs, too. Tottenham may find themselves having to weather the storm for long periods but in Moura and Son, they have two speed demons who can punish City on the break. Son linked up well with Moura in a seven-minute cameo off the bench on Saturday. They should be given the opportunity to develop that partnership as Spurs bid to reach the Champions League semi-finals. Much has been made of Tottenham’s lack of recruitment over the past two transfer windows but Son and Moura have proved they are able deputies for Kane. Imagine just how good this team could be if Mauricio Pochettino is backed with funds to improve his squad further this summer. Raheem Sterling’s brilliant first goal at Crystal Palace is a clear example of just how much he has developed his game. Running on to Kevin De Bruyne’s through ball from just beyond the halfway line, Sterling only needed to take a single touch to set himself in the box before shooting. A couple of seasons ago, Sterling would have been tempted to touch the ball earlier and try to take the defender on. Now he knows that less is more and is reaping the rewards. 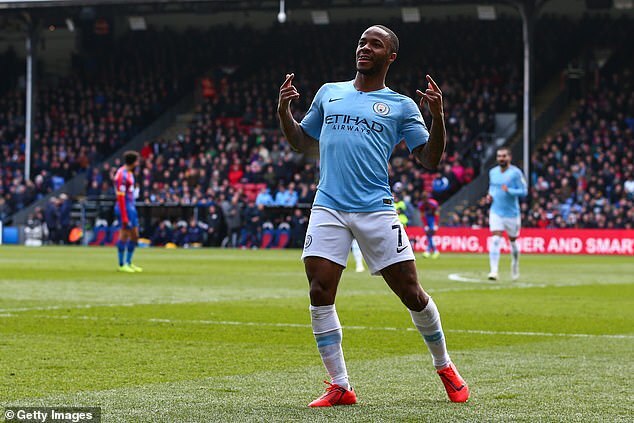 Sterling has been involved in 55 Premier League goals in the past two seasons – two more than in his previous six campaigns combined. First his wondergoal against Southampton, now a thunderbolt to beat Chelsea… it’s safe to say Mohamed Salah has well and truly returned to the party! Liverpool’s talisman is once again producing those moments that make you stand and watch in awe. He is approaching the levels we saw last season — and at the perfect time for Liverpool’s title bid. Mike Dean was right to overturn Cardiff’s penalty against Burnley but could have had a spot-kick moments earlier when a shot struck Ben Mee’s arm. In the Champions League, VAR would have given it. When technology arrives in the Premier League next season, I hope it brings consistency across both competitions. Unai Emery’s Arsenal look capable of beating anyone at home. Away from the Emirates, their performances make me want to hide behind the sofa. While his team are nine points better off than they were under Arsene Wenger this time last season, Emery has not yet found a way for Arsenal to be successful on the road. If they are to achieve their twin goals of finishing in the top four and winning the Europa League, they will have to cure their travel sickness quickly. Four of their next five matches are away from home, starting with tonight’s trip to Watford. It will not be easy against the FA Cup finalists. Last season, don’t forget, Arsenal lost 2-1 at Vicarage Road and Troy Deeney accused them of lacking ‘cojones’. This next fortnight will determine whether this is a successful campaign for Arsenal.